Does the coming Easter weekend have you in the mood to do a cake or cupcakes? 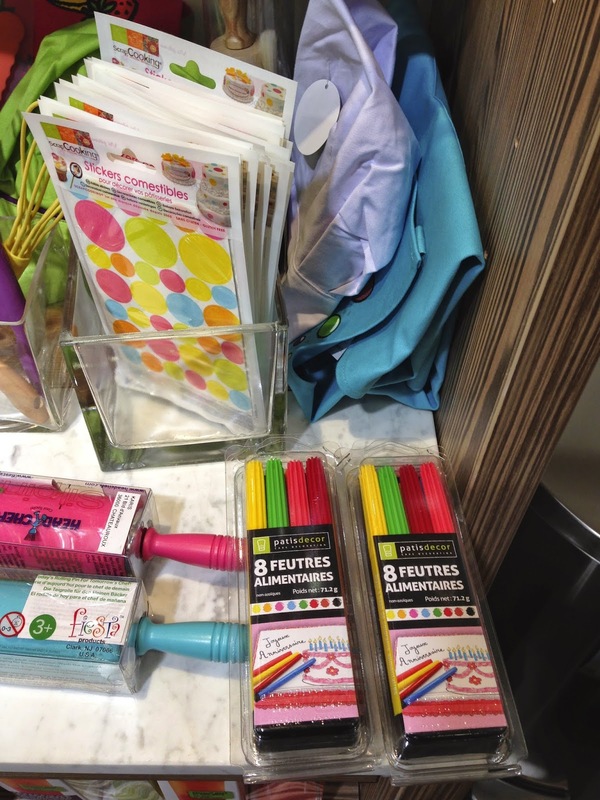 It's becoming easier to find cake, and cupcake, baking and decorating supplies. TATI downtown has just remodeled, and all the cooking wares are now upstairs. Tati in terms of quality is about equivalent to Walmart. Occasionally it has deals that are worth taking advantage of. For example, right now they have plastic glasses. I like having them for everyday use because they are a lot harder to break than actual glasses, which is really handy if you have little ones, or big ones prone to dropping things. 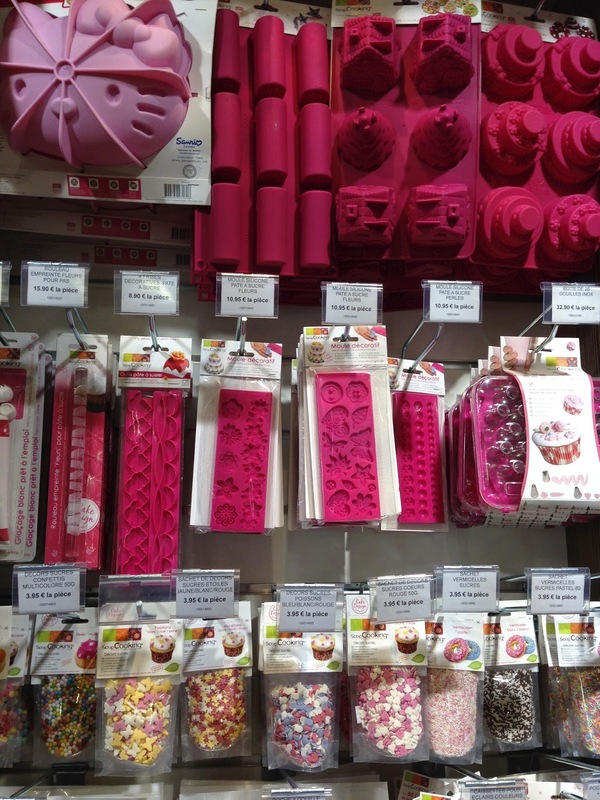 They also have a cake decorating section right now, not a regular thing there, and popsicle molds. The display has a cake turntable and fondant cutters. 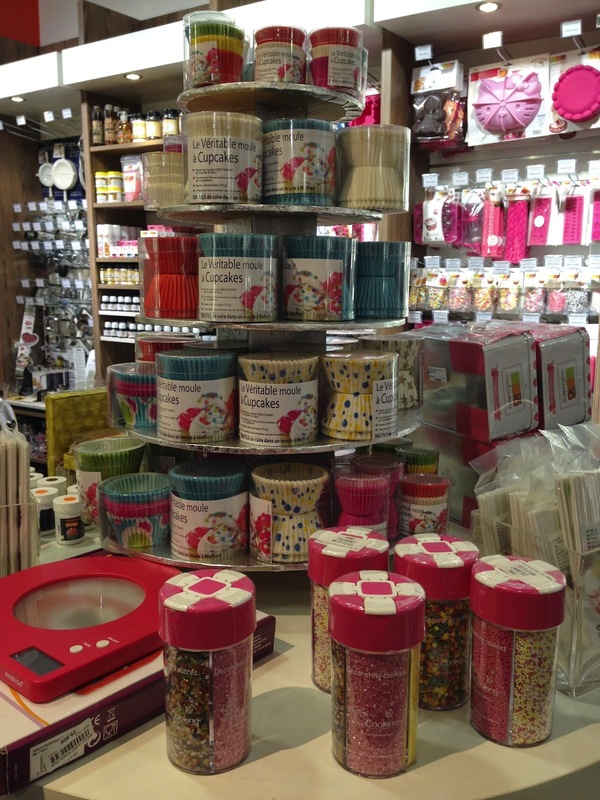 KITCHEN BAZAAR is a new kitchen supply store downtown at 2 Rue des Forces, 62002. It's on the higher end of the quality scale, but well worth what you pay for it. 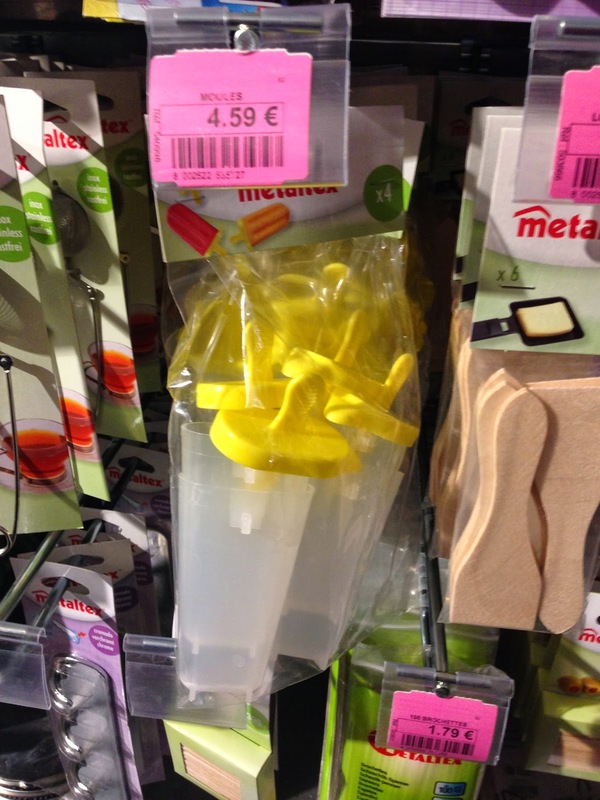 I recently bought a new metal spatula there to replace one I had brought from the states. My husband broke the metal part in two while scraping something with it! It was a nice wide and long spatula that I used for flipping pancakes, among other things. I was pulling my hair out trying to find another one like it here. I was able to find a comparable one of good quality at the Kitchen Bazaar. If you get on their mailing list, then you get invitations to all of their events. I was surprised to see that they have the most complete baking and decorating supply section I've seen here. Starting with: molds for cakes, cake pops, popsicles, the correct size for cupcakes or muffins, with their paper baking cups, specialty molds and cookie cutters. 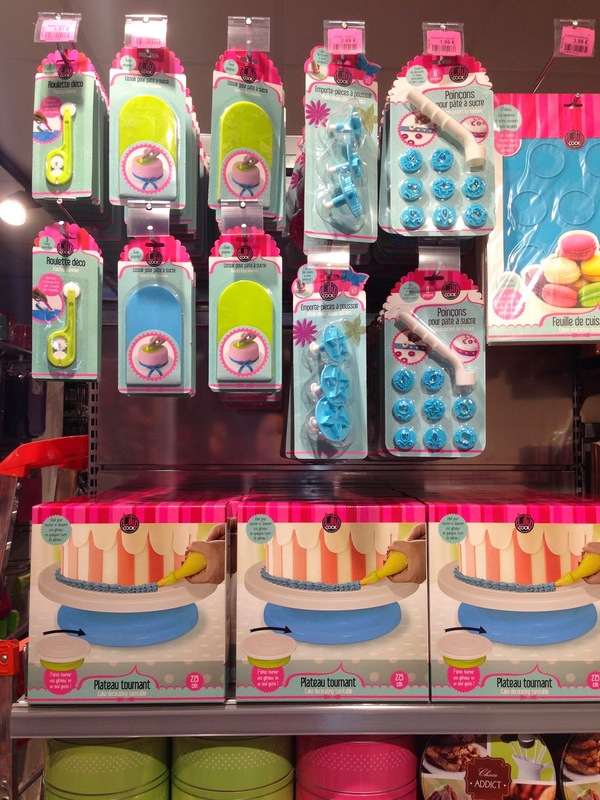 They also have decorating tips, pre made fondant, sugar paste molds and rollers. I liked their spiderman and pirate candles, and the edible stickers and markers. I was particularly taken with the natural flavorings, over 25 of them, and food colorings, including powders, gels, and spray on gold or silver. 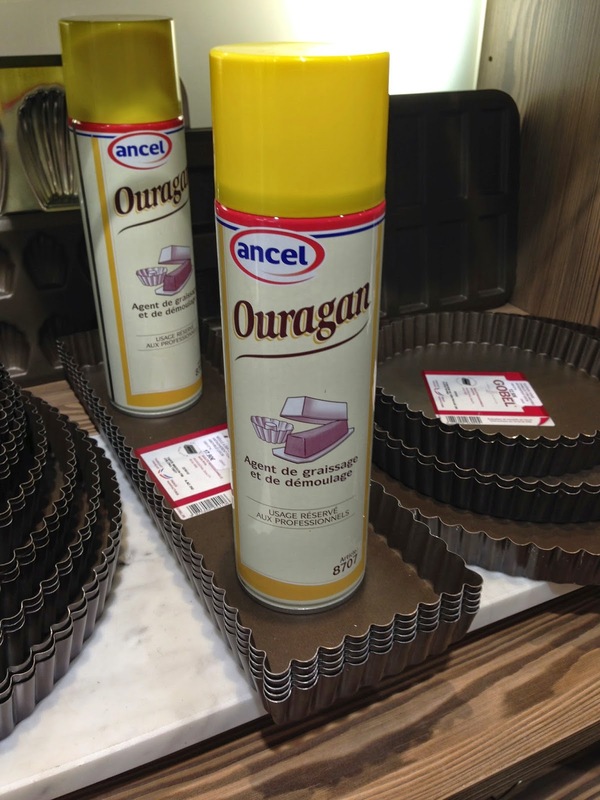 Kitchen Bazaar is also the only place I've ever seen a non stick cooking spray, called Ouragan, made by the Ancel brand. It was a little spendy, but considering that it's big enough to last all year if you're a fan of non stick spray like Pam, then it would probably be worth it.